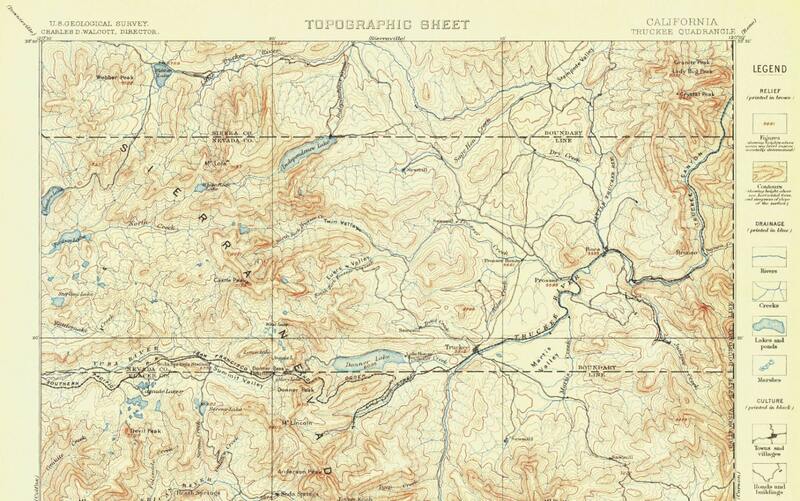 Quadrangle Topographic Sheet of Truckee, CA from 1895. 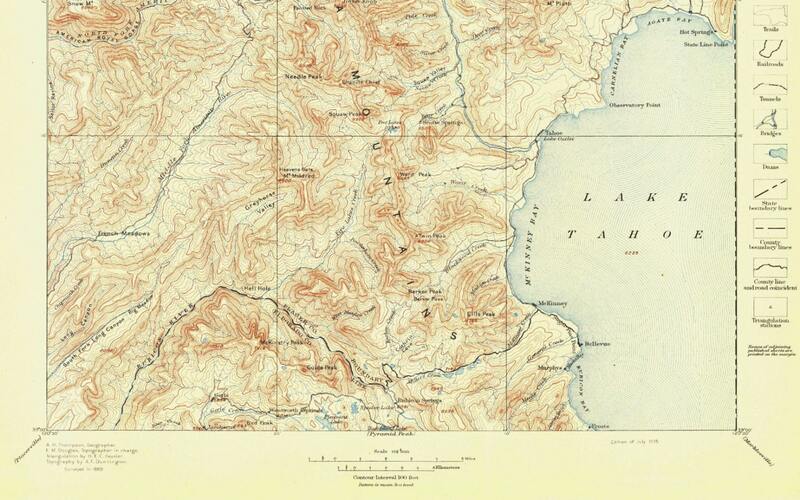 Love these old topo maps, this one contains most of Lake Tahoe. 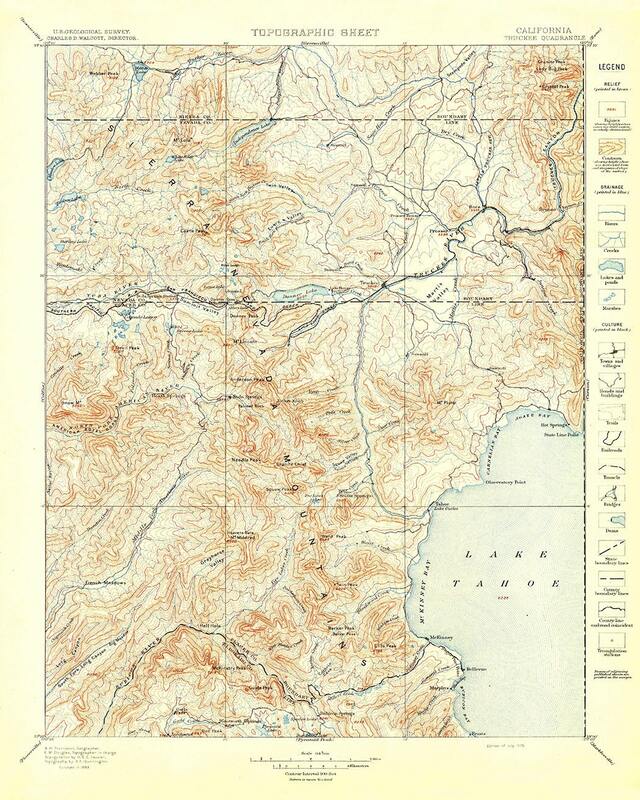 The other bordering maps (or most any old topo) are available to print too! Can even create a "custom" quadrangle map or combination of multiple maps. Original size is close to 16"x20" however the map is available in several sizes, please choose (1:125000 scale will be removed on other sizes). This is a reproduction map.